How Many Calories Are There in Anda Pav & Does It Have Any Health Benefits? Anda Pav is a popular Indian food which is served as snacks. The dish is prepared with sautéed onions, green chilies, salt, spices, Pav toasted in butter, and topped with spicy egg mixture. Egg is an absolutely versatile food as it can be cooked in many ways. Eggs are not just an option for breakfast but it is found in baked foods, salads, sandwiches, cakes, ice cream, soups and sauces. Eggs are healthy and low in calories. A 50 gm egg contains about 72 calories. Eggs are rich in high-quality protein. It is a nutritious and cheap substitute for meat. Apart from protein, eggs have plenty of essential vitamins and minerals which are required for optimal health. Eggs are one of those few foods that contain naturally occurring Vitamin D.
However, eating 2 eggs a day for 6 weeks can raise HDL levels by around 10% which may reduce the risk of heart disease, stroke, and other health issues. The egg is a high protein food so it will leave you feeling full for a longer period of time. Pav is basically a small loaf of bread which is generally made with maida or all purpose flour. You can prepare a healthy version of Pav at home with whole wheat flour or combination of maida with whole wheat flours. Pav is made from wheat flour, water, milk, butter, oil, salt and baking powder. You can also use brown bread instead of the pav to make it nutritious. 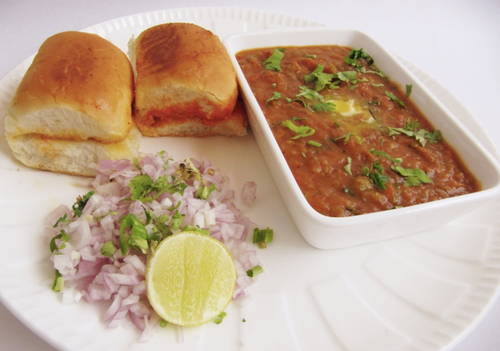 Anda Pav is a common breakfast option for people in Mumbai and also a healthy one certainly. Previous articleHow Many Calories Are There in Fried Rice & Does It Have Any Health Benefits? Next articleHow Many Calories Are There in Momos & Does It Have Any Health Benefits?